Trace the roots of house music in the UK and you'll find Pete Heller and Terry Farley at its source. Shoom, Future, Spectrum, The Trip: they were there. Heller & Farley productions are steeped in the sights and sounds of these experiences at the most influential of nightclubbing moments from the last 25 years. 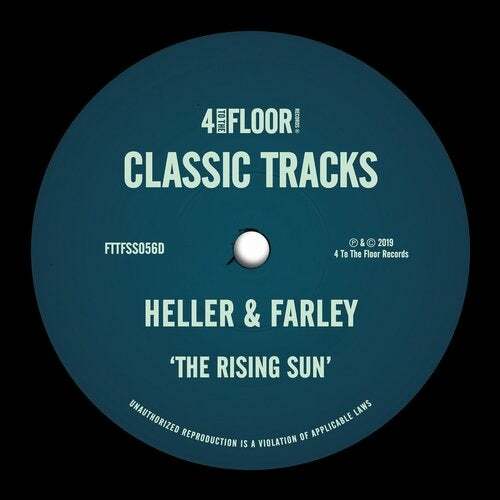 This nine track EP 'The Rising Sun' includes standout remixes from Danny Tenaglia, John Digweed, Scott Grooves and Heller & Farley alias Roach Motel. Originally recorded in 1999, this track still sounds fresh for dancefloors 20 years later. Luke Solomon, The Vision, K.A.T.O., Jazz Documents, Aphrodisiac, Avant Garde, N.Y. House'n Authority, Asylum, Houz' Neegroz, House Of Peace, DTR, Marilyn Sareo, Total Science, Freedom, The Barnyard Orchestra, The Sound Vandals, Project, Quiana, Underground Kids, Project "86"